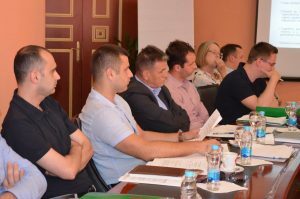 Within the Project “Transparent and Accountable Public Enterprises in BiH – TAPE”, financed by the Kingdom of Netherlands, a joint workshop of members of operational teams of ten partner public enterprises from Republika Srpska and the Federation of BiH, Eda’s project team and Transparency International BiH, was held in Banja Luka on May 30, 2018. This joint workshop was organized as a folow up to three workshops organized for all partner public enterprises individually. 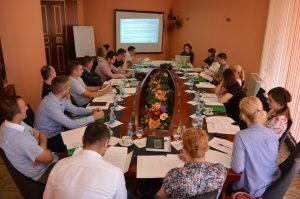 Members of the operational teams of each company and Eda’s project team worked in the first two workshops on key issues of transparency of public enterprises’ activities through preparation of key documents of the company – the annual business plan and business report. 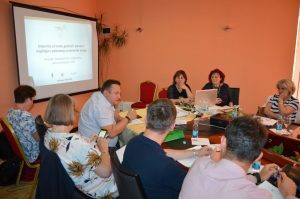 It was an opportunity to analyze, with the operational teams, the prepared draft of the Guidelines for preparation of annual business plans and business reports adjusted to information needs of citizens. 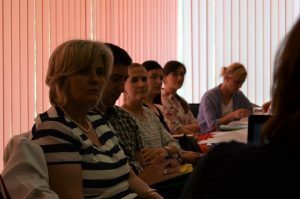 The third workshop was used to define a model of the annual plan and business report that should meet requirements of the transparency, as one of the key principles of doing business of public enterprises, according to the existing entity Laws on Public Enterprises. Also, taking into account obligations arising from the signed Agreements on Cooperation, an agreement was made for publishing these key documents on websites of public companies. 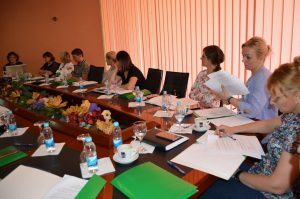 The defined proposal of the guidelines with models of the documents were discussed by participants of the workshop. Along with comments that the documents were very useful and that they provided appropriate guidelines for preparation of annual plans and business reports, several comments and suggestions for improvement were delivered, in order to facilitate application of the guidelines even further. By incorporating these suggestions, the guidelines and proposed models for the preparation of the annual business plan and annual business report will be finalized. 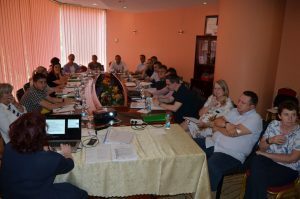 Given the number and credibility of the participants, this meeting functioned also as a round table on prepared amendments to the existing Laws on Public Enterprises in both entities, as well as on entity regulations that regulate transparency of financial relations between public enterprises, local self-government units and entities (in the Federation of BiH cantons as well). 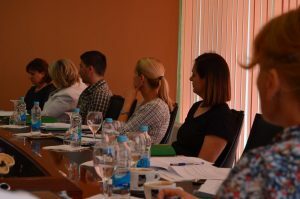 Participants were provided with explanations on scope and content of the amendments, as well as with remarks and suggestions provided by the project working group, composed of representatives of public enterprises in BiH, ministries at the entity and cantonal levels, as well as city and entity/parliamentary assemblies. 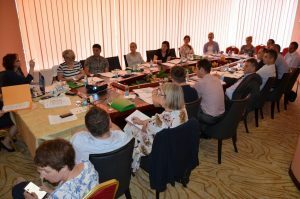 Participants of the round table – workshop highly evaluated the scope and quality of the proposed solutions and made a significant contribution to the quality of the proposed amendments with their comments and suggestions.